The closer kitchen is located to home, the more perfect that position will be considered in order to reduce costs for kitchen equipment. 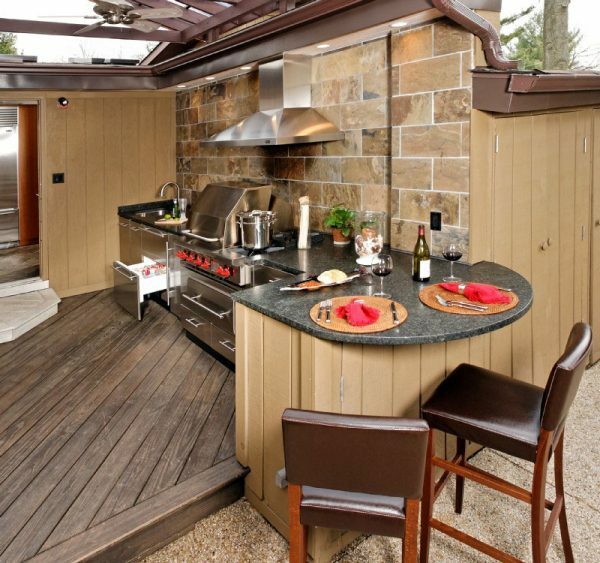 Placing summer kitchen area on the terrace or veranda next to the main kitchen, it is possible to put aside the built-in refrigerator and a large amount of china shelves. It is also much easier to connect utilities with existing networks. Planning the perfect location of kitchen at your own backyard, don’t be too lazy to make the passes scheme to the kitchen from the house, patio, garden and other areas. Place the cooking equipment for pathways to get the desired shape. If cooking food is a work for one of the family members, not a guest chef’s, it is best to plan the work area so that most of the time a person could spend face-off to the backyard and not be visually alienated from the rest of the family. In addition, the kitchen must meet the basic kitchen requirements of ergonomics and the rule of the working triangle. Tables for cooking, as well as bars, tables and chairs for family members. If private outdoor dining area is equipped next to it, you can opt out of the dinner table at the kitchen. 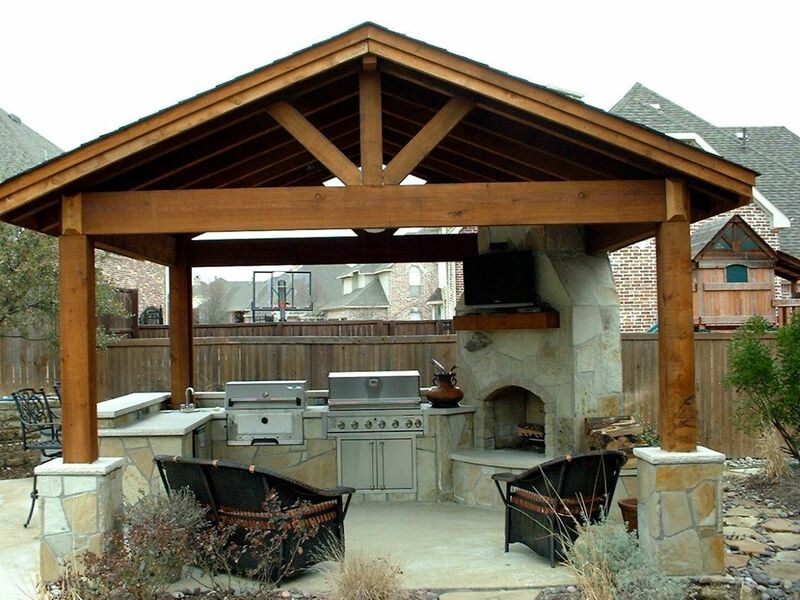 For cook’s comfort you can care about the construction of a canopy, or tree-planting, which creates a shady area in the kitchen zone. Designing a decorative garden with aromatic herbs next to kitchen will be great. When selecting materials you should be guided by two main principles – durability and ease of use. The most natural proximity to the outside kitchen will be the open-air dining area situated next to it. So much reduced need for long-distance transport of food and utensils. Placing kitchen next to the pool became popular, sometimes even close to him. The easy availability of chilled beverages is achieved this way, eliminating the need to separate the bar equipment in the backyard. General design style of kitchen area should ideally correspond to the architectural style of the house and landscape design.